Cycling is more than just a great way to get around; it’s a lifestyle, and one enjoyed by millions of people around the world. We can only imagine how good it must feel when the conditions are perfect – the wind on your face, the depth of your breath, the gentle ache of your muscles as they work: it’s the best rush there is. 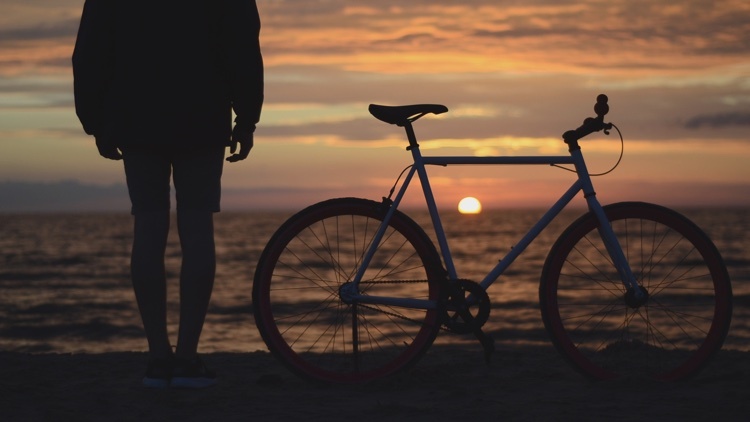 Whether you fancy yourself as a would-be Tour de France winner or are quite happy just pedalling away to your heart’s content, you’ll probably be looking to take a cycling trip abroad sometime soon. And if this is the case, you’re going to want to make sure both you and your equipment are properly covered – after all, it won’t be much of a cycling holiday if you can’t hit the road on your bike in style! That’s why you should take out a travel insurance policy with Cover-More UK. Whatever shape you want your cycling trip to take, you can count on us to safeguard your interests while you’re away. What if I’m planning more than one cycling holiday this year? Even if you’re only going on holiday for a week or two this time around, it’s worth getting quotes for a year’s insurance, especially if you can see yourself taking more than one trip within the next 12 months. Take out annual multi-trip travel insurance with Cover-More UK and get covered for any number of journeys over a one-year period (with a maximum of 120 days travel in total). There’s a limit to the duration of each journey you can take; you’re able to choose between 30, 45 or 60 days per trip. With our year’s worth of travel insurance, you’ll save yourself time, money and, above all, stress before any hotly anticipated cycling holiday. So, what exactly does my cycling travel insurance include? There’re loads of cool features on offer with cycling travel insurance from Cover-More UK! We’re committed to providing policies that are as straightforward as possible. All our plans, whether you opt for the cost-effective Economy option or premium Diamond coverage, will give you peace of mind; deciding on Silver, Gold or Diamond travel insurance means you’re safeguarded for a wider range of eventualities. But it doesn’t stop there: any unforeseen charges incurred on your journey, including missed departures and connections, will be paid for (at least in part) by us. 24/7 access to our highly trained emergency assistance team is available, too; day or night, you’ll be in safe hands during your time of need – regardless of where you are in the world. Should you need to cancel your policy, you can do so within our 14-day cooling off period; you’ll also receive a full refund if you haven’t already set off on your holiday or made a claim within this time. To learn more about what’s covered in each of our plans, be sure to check out our travel insurance guide. Brilliant! Right, how do I get a free quote? And there you have it! Your free online quote, in all its yellow jersey glory.